Continuing their long history of engaging in race-baiting attacks against President Obama, right-wing media figures have accused Obama, his administration, and the progressive movement of trying to start a "race war" in order to divide the public and "seize absolute power." Beck claims that Obama is trying to foment a "race war"
Beck warns his audience: "They want a race war ... and our government is going to stand by and let them do it." On the July 12 broadcast of his Premiere Radio Networks show, Glenn Beck warned his audience that the "left" wants "a race war ... and our government is going to stand by and let them do it." Beck says progressives "need anger in the streets" and "they need a race war or any kind of war pulling each other apart." During the July 16 edition of his television show, Beck stated that progressives "need anger in the streets" and "they need a race war or any kind of war pulling each other apart." He then said, "Divided we will fall. They know it." Beck: "They must have the race riot. ... It is the Balkan plan. They are making us into the Balkans." On the July 19 edition of his radio show, Beck told his listeners: "They must have the race riot. They must have the races pitted against each other. They're pitting us against each other in every step of the way. It is the Balkan plan. They are making us into the Balkans." Media conservatives repeatedly attack Obama and his administration as "racist." Since July 28, 2009, when Glenn Beck called President Obama a "racist" with a "deep-seated hatred for white people or the white culture," right-wing media figures have routinely called Obama and members of his administration "racist." The Review has found no evidence that Glenn Beck is a racist. On that matter, he appears to be honest. The Review has found ample evidence that Glenn Beck is not a very decent human being, much less a good "Christian" no matter how much he professes otherwise. His supporters can deny it until they are red in the face, but the documentation offered on this blog is indisputable. Glenn Beck is a liar, a hypocrite, an uneducated charlatan, a race-baiter and a manipulative propagandist. Not a man of God. I cannot answer that off the top of my head. He speaks of his faith a lot and sometimes of his sect, but I don't recall him using the word temple or church in self-reference. Beck and Rush must be related, they both have the same mentality. 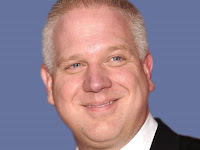 I believe that Limbaugh is Beck's prototype, his inspiration. Beck listened to talk radio before he made his switch from Top 40 DJ to talk show hosts, and certainly Limbaugh's success inspired him. Have you ever heard of Journolist and Spencer Ackerman? Hmmm, there are so many... how about Helen Thomas. This stuff goes on every day where aspersions are cast at the right, without any real evidence, but Leftists all the time are making racial comments but it doesn't stick-simply because they make the aspersions. In case you haven't noticed Leftism is all about race-baiting to hide their real agenda. Glenn is just fighting it. Maybe Jeannie, you can learn to back up your accusations about "Leftism." Try leaving links to leftist blogs and websites next time you make this absurd claim about the left. The left that I'm familiar with opposes racism in a way that Beck does not even begin to approach. You can't race-bait as much as he does and claim to be against racism. It's a tactical misstep that requires a critical mind to address, something you obviously lack with your idea of what Beck is fighting. Beck may or may not be a closet racist. His slip of tongues and race-baiting give a better idea about this than his deceitful claims. God Bless Glenn Beck! You are ugly, Victor, with the critical mind. Anonymous, thank you for offering the readers here insight into the supporters Beck has. You're right, I have a critical mind. That is what makes me qualified to write The Glenn Beck Review, but my wife doesn't think I'm ugly. She certainly did not marry me for money. Is Glenn Beck turning over a new leaf? How does Glenn Beck have any credibility?